-are a prominent mountain range in southern Europe. -is a skinny mountain ridge shaped on opposite sides by a series of glacial cirques. -is a large mass of snow that rapidly slides down a slope. -is the large crack at the top of a valley glacier where it is pulling away from the mountain. -During an ice age the weight of a thick continental glacier presses the crust of the earth down. After the glacier melts, the crust slowly rises up to its previous elevation. -is a long, skinny, cigar-shaped hill that has be sculpted by a glacier flowing over it. -is a boulder far removed from its original source and deposited by a glacier. -is a snakelike ridge of water lain gravel deposited by a steam flowing beneath a melting glacier. -is a U-shaped glacial valley that is partially flooded by seawater. -is glacial ice, a granular form of ice similar to the material in a "slush ball". expansion of water into ice can cause the rock to split further. fragments out of the bedrock. material embedded in the ice. -is the unsorted rock debris, ranging from boulders to silt, that are left behind when a glacier melts. -is a small U-shaped glacial valley exposed on the upper side of a larger U-shaped glacial valley. glaciers. The most famous glacial horn is the Matterhorn in Switzerland. melting of a large piece of glacial ice covered over with till. -are the piles of glacial till deposited along the sides of a glacier. fine powder), but is now a wind-deposited soil. marked by a line of glacial debris accumulated from lateral moraines of the two glaciers. -is semi permanent frozen ground. -is rock that has been crushed and ground to a fine powder by glacial action. 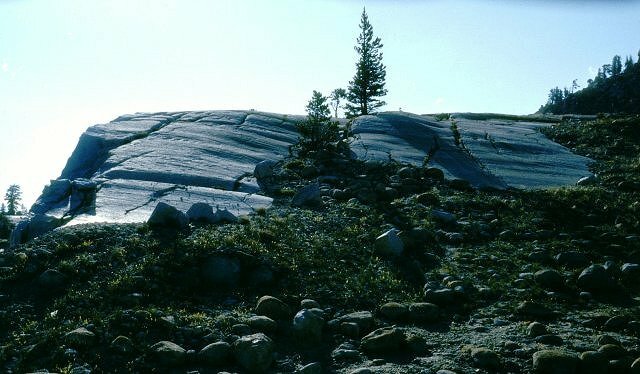 -is the pile of glacial till at the base (snout) of a glacier. -is a glacier in a mountain valley. A valley glacier is also known as an alpine glacier. Wisconsin Ice Age ended about 15,000 years ago. -is the portion of a glacier below the snowline where the glacier is melting.